Only cat food all 4 of them eat. 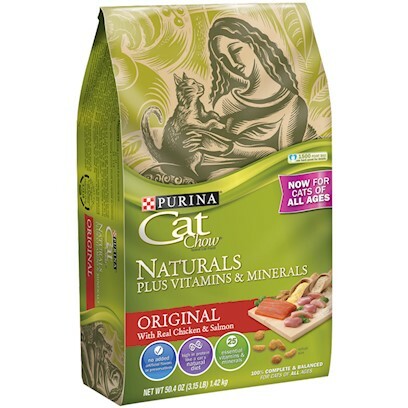 Purina is great but kitties don't like the taste of this one. As natural as can be! My cats REALLY love and PREFER for years!! Both cats love Cat Chow Naturals! It's in the Cat's eye. My cats won't eat other brands. My cat had tummy aches until trying naturals!